Have you ever taken an airplane ride? If so, surely you recall the lengthy instructions given to you by the flight staff prior to takeoff. These instructions were delivered in order to teach you appropriate plane-travel behaviors and equip you to deal with potentially life-threatening situations. Of all the directives the flight attendants gave you, the instruction to secure your own oxygen mask before attempting to help others was perhaps the most crucial. This token of advice had (and has) the ability to not only save your life, but your neighbor’s. On a plane ride, the instruction to help one’s self before helping someone else should be taken literally. However, this command also has value when taken figuratively. Healthcare organizations in particular would do well to take this figurative advice to heart. Of all types of organizations, those in the healthcare field are among the most important. The reason for this is obvious: they provide services that are essential for the preservation of life and health. Without facilities like hospitals, nursing homes, private-practice doctors’ offices, and hospice services, we would all be lost, as would our loved ones. Healthcare organizations and their employees are irreplaceable and desperately needed. Because of this, a healthcare facility should secure its own oxygen mask, so to speak, as quickly as possible so that it can help others without weakening. The “oxygen mask” every healthcare organization needs is a social learning management system (LMS). To a healthcare organization, an LMS is similar to an oxygen mask. An oxygen mask ensures that the human body is supplied with what it needs (oxygen) to keep going. Comparably, an eLearning platform ensures that a healthcare organization has what it needs (training options, financial peace, and organization of information) to survive and help others. Without oxygen, the human body falters and eventually dies. Without flexible training options, a lowered bottom line, and records that are organized and easy to find, healthcare organizations weaken and may even shut down. Training solutions that work – It is impossible for healthcare workers to be successful without ongoing training. Practices, protocols, procedures, and technologies are constantly changing, and healthcare professionals need training solutions that quickly deliver information in easy-to-understand ways. Also, these workers require training that is flexible enough to fit their busy lifestyles. Learning management systems are designed to provide this type of training. With a cloud-based LMS, workers can access training materials 24/7, day or night, from any location, with any device having a web browser and an Internet connection. By offering training solutions that work, an LMS helps healthcare providers to help others. Financial peace – There is nothing that will sink an organization faster than financial upset. Many people are unaware of the fact that eLearning systems keep organizations, including those in the field of healthcare, financially healthy. They do this by eradicating the need for expensive and time-consuming in-person training. This drastically lowers the cost of employee training. The Benefits of an LMS for Hospitals, an article by Av Srivastava, says, “Numerous studies have demonstrated dramatic cost-savings with elearning and an average saving of 68% has been commonly discussed.” There is no healthcare organization that could not benefit from the financial rescue offered by a cloud-based LMS. Organization of records – Take a moment to think about the multitudes of people who pass through a hospital/healthcare facility in just one year. Each and every one of these people is assigned detailed records. A cloud-based LMS has features that allow administrators to store records and other information in a secure online location. 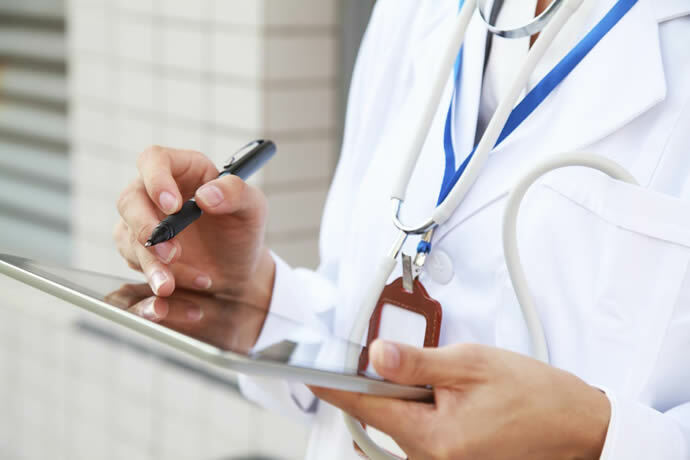 A healthcare organization cannot endure unless its records, reports, and vital information are organized and easy to retrieve at a moment’s notice. An LMS makes this possible. Without hospitals and other healthcare facilities, the world would be without hope. The human race needs such facilities and the services they offer to survive. Similarly, healthcare organizations need social learning management systems in order to survive. A healthcare organization would be wise to secure its own oxygen mask—an LMS—so that it can both survive and thrive while helping others.